I had a distinct feeling of discovery when I wandered down Ship Street last week. Tucked in The Lanes, this historic street is busy with shops and cafes at one end but becomes narrower and more intriguing as at leads towards the sea. 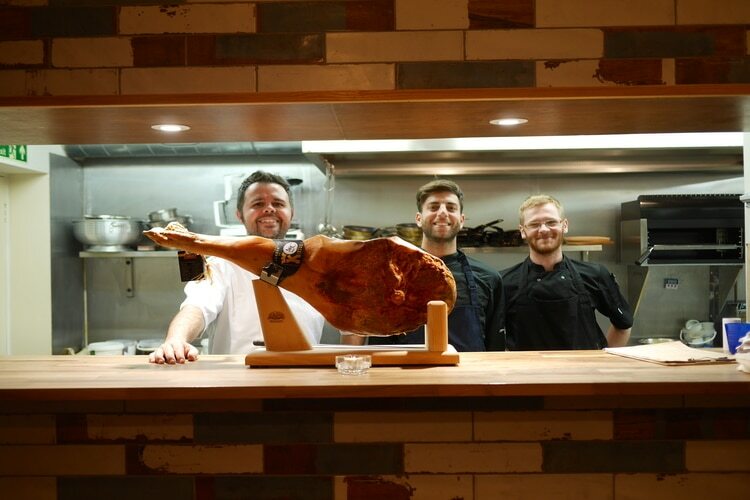 Here, between the houses, hairdressers and historic law firms is a handful of select Brighton eateries. I was here with my friend Kate to check out the Street’s newest edition – a French restaurant that serves its cuisine tapas style. 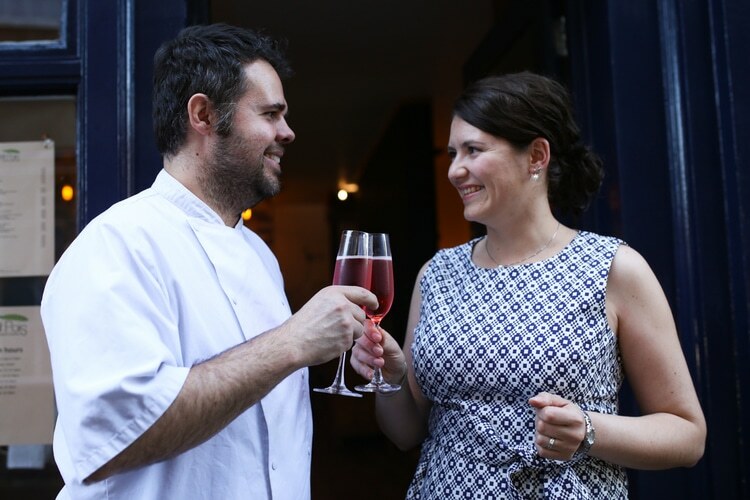 We were greeted at the door by the warm smile and soothing French accent of Ivana, who owns Petit Pois along with her husband and Head Chef David. Stepping inside, we entered a light and airy room with a relaxed and informal feel. The décor is a blend of rustic and modern, with unusual tiled walls and a part-open kitchen. We toasted our evening with two flutes of Kir Royale. 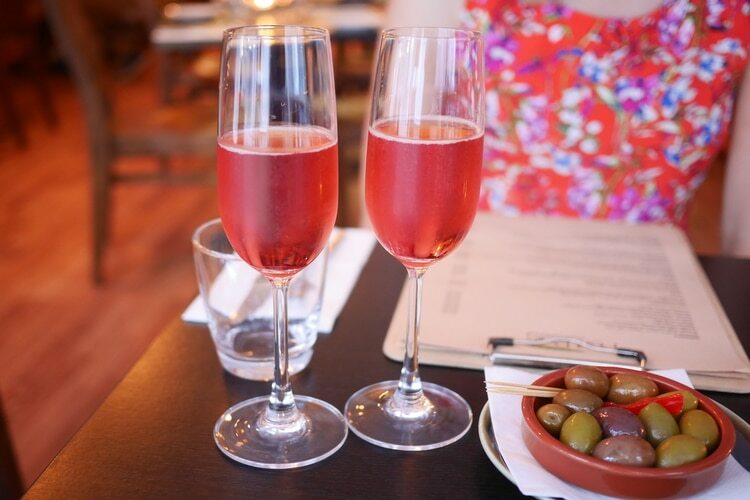 As we sipped our pink fizz we studied the menu, which is divided into Fish, Meat and Vegetable sections, as well as ‘Nibbles’ and ‘Les Assiettes’ (charcuterie and cheese plates). Chalked up on the wall were today’s charcuterie and ‘fromage’ options, which included cured gorrion beef, brie de meaux, and a huge leg of kintoa ham, which was displayed on the countertop. Our French waitress explained that most dishes are ‘larger than starters but smaller than traditional mains.’ She advised starting with a couple of ‘nibbles’, followed by two or three main plates per person. “You can order more if you’re still hungry,” she smiled. 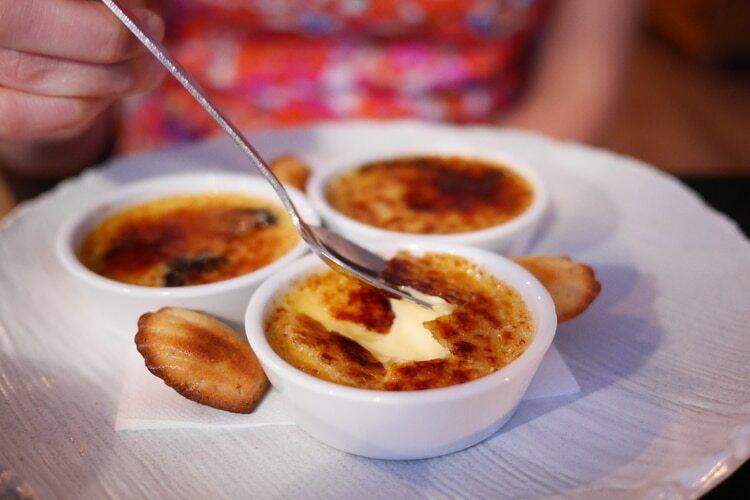 The Nibbles menu includes several French staples, like snails in garlic butter and croque-monsieur, plus a few other dishes from around the world. Inspired by the French atmosphere, I ordered the frogs legs. Surprisingly plump, with a fish-like texture and chicken-like taste, they were served as goujons with tartar sauce. Disguised in golden breadcrumbs, Petit Pois’ take on this French favourite is an easy introduction for frog leg first-timers like me. 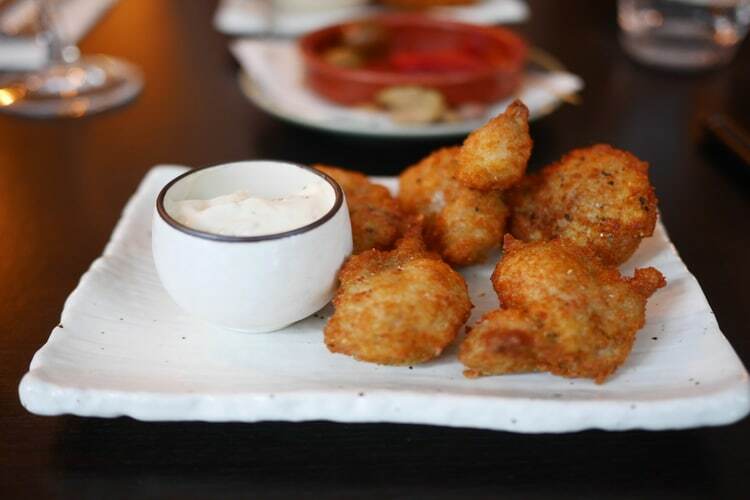 Kate went off-piste with Caribbean salt cod fritters. 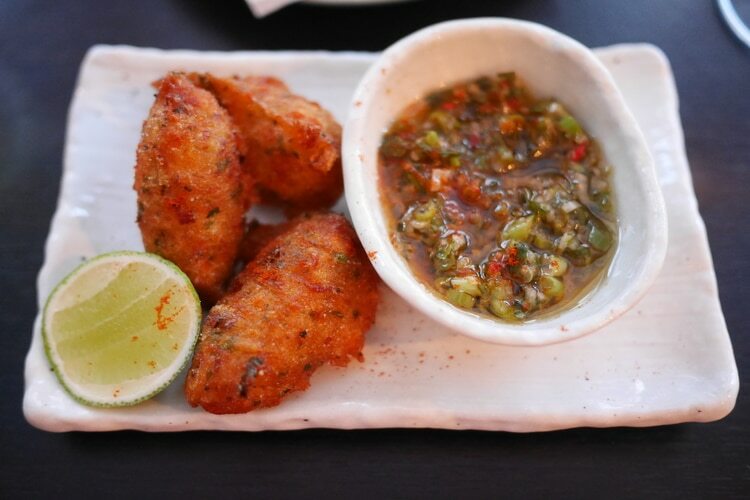 Soft, dense and deliciously chewy, her exotic fish fingers were served with Guadeloupean ‘sauce chien’, which packed a powerful chilli punch. Deciding to share our main dishes, we ordered two fish options, one meat and a veg. Rather than crowding the table with all four plates, our fish was served first. 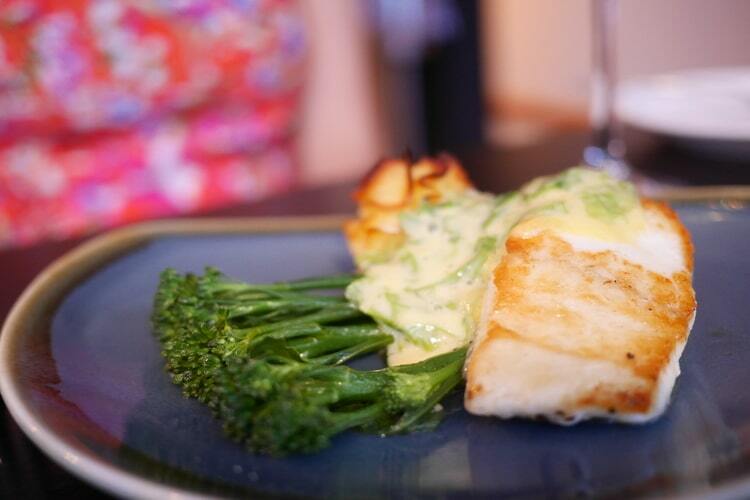 Kate’s favourite was the snow-white fillet of halibut. The ‘seaweed hollandaise’ it came with reminded me of a decadent creamed spinach. Slender broccoli stems also accompanied the dish, along with a buttery whip of duchess potato. 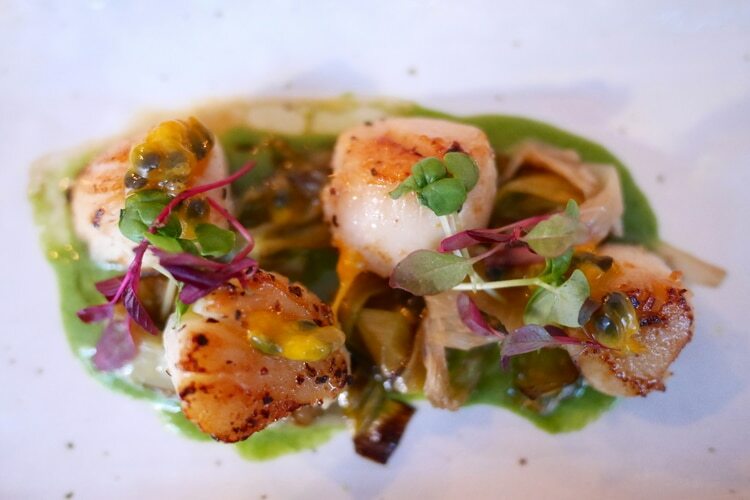 I was a big fan of fish dish number two: four, melt-in-the-mouth scallops with burnished leeks, crab oil, and green pea puree. A scattering of gooey passion fruit seeds added sweetness and crunch. With our fish, we ordered two glasses of white from the all-French wine list. Ivana recommended the Picpoul de Pinet Les Prades, which was crisp and refreshing, with a peachy fragrance and floral tones. Our fish dishes were followed by two artistic-looking plates of food: Petits Nicois, and Wood Pigeon. Sealed on the outside, the gamey breast meat was tender, succulent and almost ‘blue rare’. Our waitress had checked beforehand if we were happy with our pigeon served pink, but I’m sure the kitchen would accommodate if you’d prefer it further cooked. In contrast, the confit leg was cooked through. 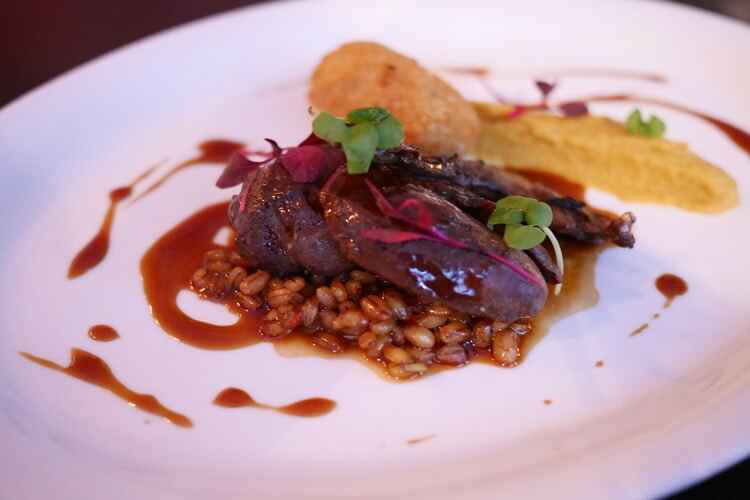 Accompanying the pigeon was al-dente pearl barley in a rich, meaty sauce; a golden croquette with an oozy filling; and a smear of sweetcorn puree, which had an intriguing hint of coffee. 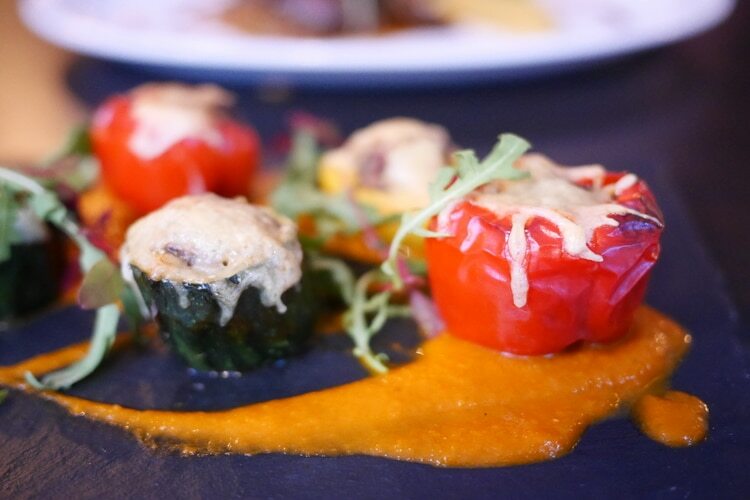 Our ‘Petits Nicois’ was an excellent sharing option: six bite-sized vegetables – mini squash, red peppers and courgette – had been painstakingly prepared with mushroom ‘duxelle’ (a stuffing of minced mushrooms, shallots and herbs), topped with toasted cheese and served with fresh tomato sauce. Although pleasantly full, we still had room for dessert. Larger appetites could probably manage a few more mains and, if you’re too full for afters but still want something sweet, you can order a single macaron for £1.50, or chocolate truffles at £1 each. Creamy, chocolatey and fruity, the dessert menu covered all the essential pudding bases. 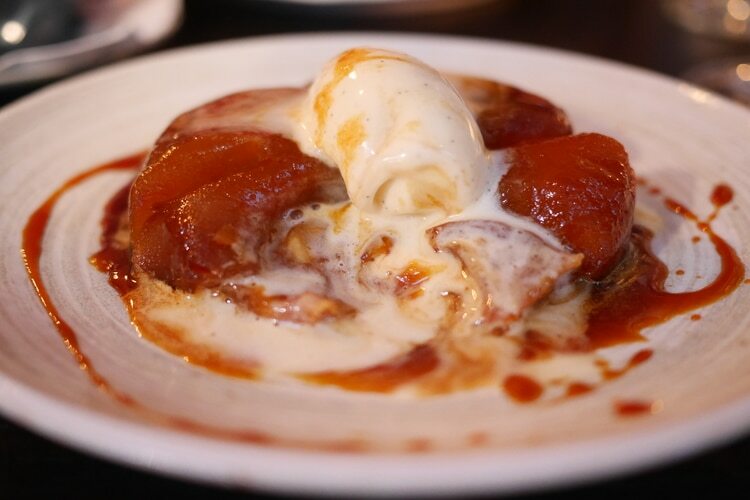 I chose the Apple Tarte Tatin, which was rich and sweet with a caramel sauce and homemade vanilla ice cream. 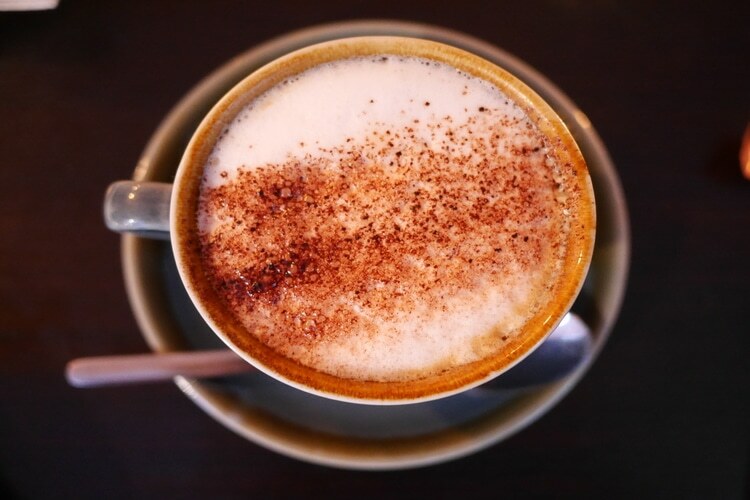 And the decaf cappuccino I sipped alongside it tasted easily as good as a full caff version. Meanwhile, Kate was busy cracking the caramelised sugar on her ‘trio of crème brulèes’. “You have to try this one” she grinned, spooning up buttery-smooth, pistachio-flavoured brulèe. Her second brulèe was classic vanilla; but my personal favourite was the Armagnac brulèe with prunes – boozy and creamy, it tasted like Christmas. To round off the evening, Ivana brought over two shots of a fantastic icy cold digestif from Geneva, which was flavoured with juniper and elderflower. 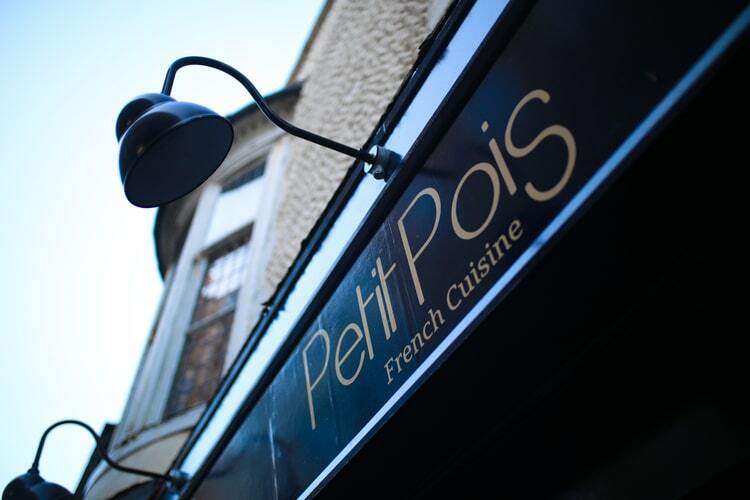 Tucked away on this unassuming street, Petit Pois would make a perfect hideaway for a romantic meal, and is a great place to escape the city hubbub and catch up with friends. As I stepped out of the restaurant, walked up Ship Street, and emerged back into central Brighton, I felt like I’d discovered a great new secret.